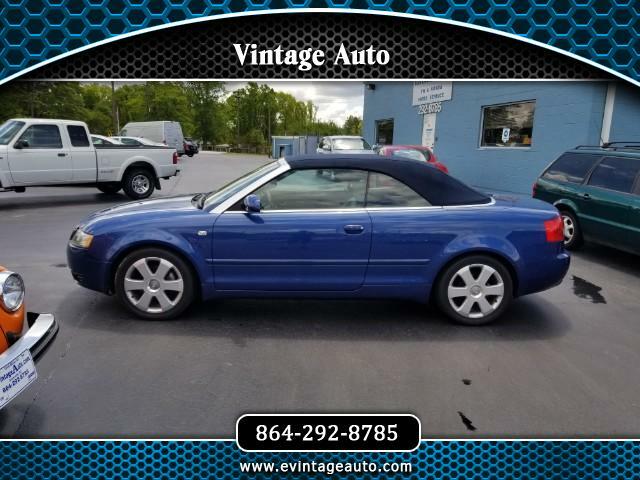 Visit Vintage Auto online at evintageauto.net to see more pictures of this vehicle or call us at 864-292-8785 today to schedule your test drive. Vintage Auto LLC is an independant Volkswagen/Audi, Honda/Acura dealership, parts dealer, and repair shop. Vintage Auto LLC has no affiliation to any of these manufacturers, but is a highly recommended alternative to the manufacturer dealerships.